Snarf’s continues to expand its sandwich empire, opening three new locations in 2018 and adding more burger shops to its portfolio. 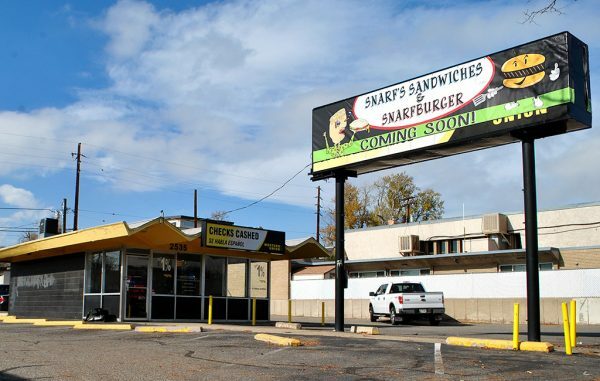 Last month, the Boulder-based sandwich chain announced it would open a new Snarf’s at 25th Avenue and Federal Boulevard. Snarfburger will take over a former Western Union check-cashing business at 2535 Federal Blvd. And the sandwich side will take over the Nu-Leaf Dispensary next door, spokeswoman Holly Moran said. The company hasn’t announced opening dates. It also plans to add a Snarfburger store next to the existing Snarf’s sandwich shop on Capitol Hill. Jim “Snarf” Seidel founded Snarfburger in Boulder in 2013. He founded the Snarf sandwich chain in 1996. In late 2017, the company opened a South Broadway location. Like the new Federal location, the Broadway Snarf’s is an older building. Moran said Seidel enjoys finding older Denver buildings and giving them new life as part of the chain. Snarf’s also is slated to open at Denver International Airport, according to its website. The company is expanding to the mountains as well, where a Snarf’s and Snarfburger are set to open near the Outlets at Silverthorne. Once they’re open, Snarf’s will have 18 stores in Colorado, as well as stops in Illinois, Missouri and Texas. Snarfburger has locations in Boulder and Chicago.